Accidents Can Happen When We Are Distracted but There is Help to Restore Your Home! What starts as an innocent party may turn into significant damage in just a few minutes. Perhaps you are hosting a gathering in your home in Palm Desert and leave the stove unattended to greet your guests only to come back to a kitchen engulfed in flames. Alternatively, a scented candle is left too close to your window treatments, and they catch on fire. The reality is that accidents happen and as homeowners, we are always vulnerable to being a victim. 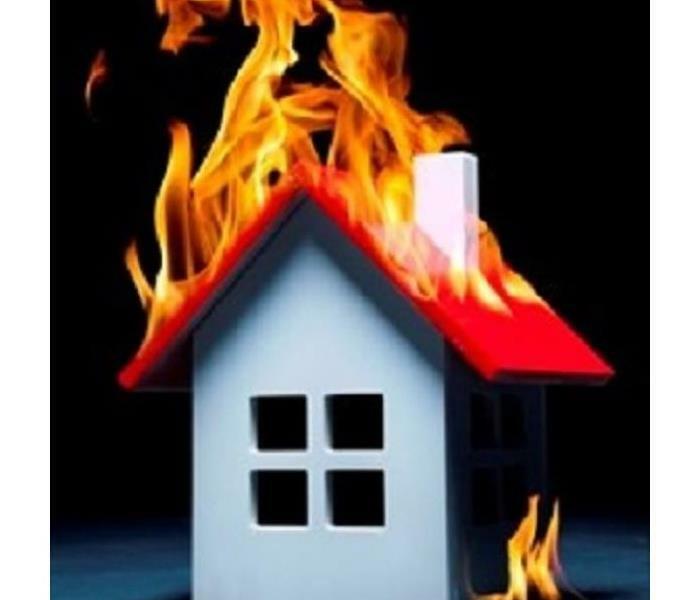 Mitigating the losses in your Palm Desert home due to fire is mostly dependent on how quickly you reach out to a professional team to restore your home. Thankfully, our SERVPRO rapid response team is available 24/7 and can begin the assessment of damage shortly after receiving your call. Our formal training lets us gauge both the nature of the fire and the type of residue it left behind, allowing us to tailor our approach specifically to your needs. Contrary to what most people think, smoke also contains small particles that when combined with humidity in the air can become acidic. Our SERVPRO technicians know exactly how to work within this environment while wearing protective personal equipment and looking at how the resulting soot settles onto the surfaces of your home. The damage to your furniture and belongings is proportionate to the amount of time this acidic residue remains on them. Aside from the apparent damage smoke causes, there is also the lingering smell that can permeate your whole home. When our SERVPRO crew works to eliminate that foul smell we take into account just how porous each surface is and how the soot got there. In our process, we attempt to follow the same route the smoke took to saturate your belongings with odor-fighting solutions. This specific odor-fighting approach makes our services efficient and effective, returning your home to you as soon as possible. For most people, homes are one-time assets, containing their most precious belongings. A home is the most important thing you own. It is prudent to ensure the security of your home and family from destructive elements such as fire. Many homes are destroyed due to fires. Fires may occur due to accidents through carelessness or negligence. It is therefore essential to know of ways and means to keep your house safe from fires. Take care in the kitchen! 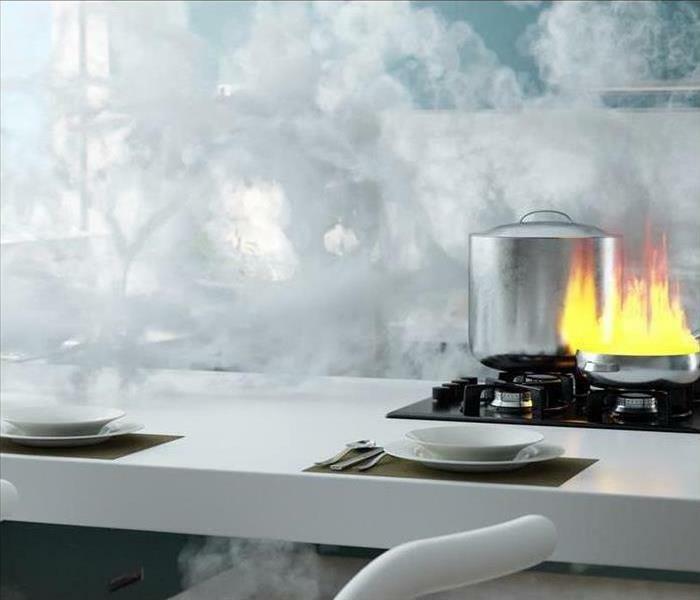 Accidents while cooking account for a large number of fires in the home. Fire damage can be devastating for you and your family. SERVPRO of Palm Desert has the specialized fire and water damage cleanup and restoration training and experience to quickly restore your home. 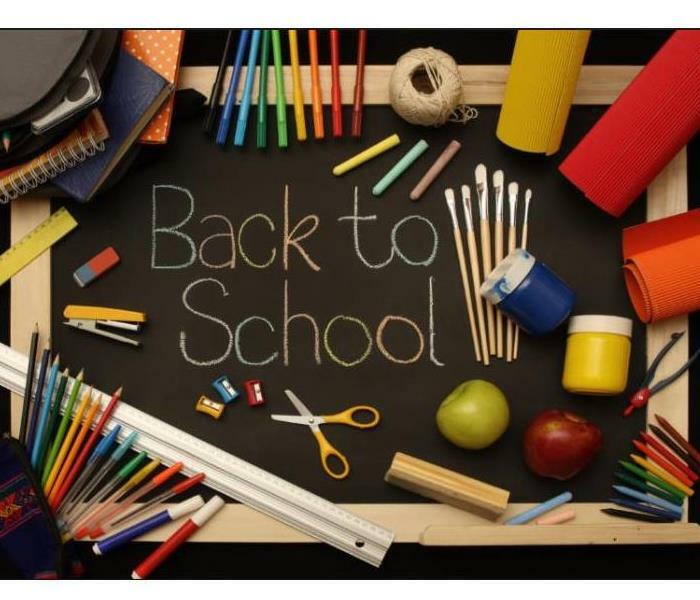 We also have specific training and equipment for odor removal and deep cleaning of upholstery and carpet. Give SERVPRO of Palm Desert a call at (760) 346-7270. 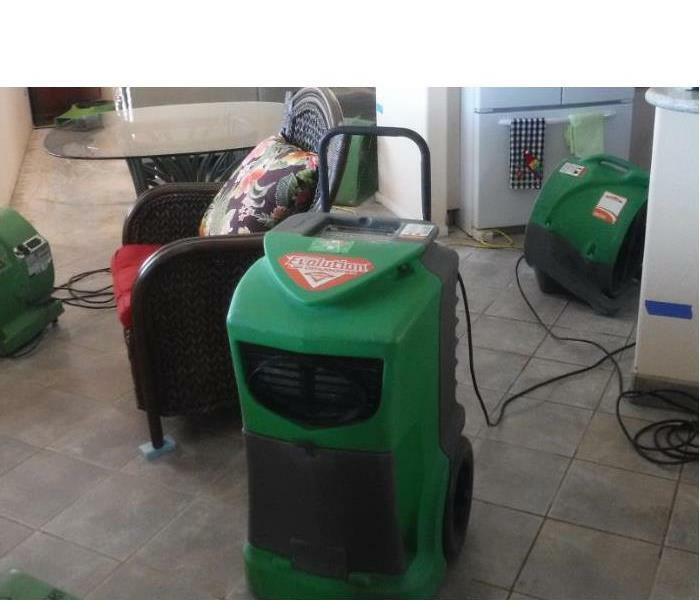 SERVPRO of Palm Desert uses specialized equipment for proper water removal. Did you know that one of the most significant issues regarding improper water removal in your home is mold growth? Homeowners that neglect to take immediate action or mishandle water removal can often experience unnecessary damages, lowered property values, or even severe risks to their health due to microbial growth. No one wants that to happen, so take this opportunity to understand more about what the benefits of contacting a professional can be. Water removal technicians handle a variety of situations every day. A quality company, will only send trained personnel, that understands the categories of water damage and how they affect your property. If you are concerned that the source of your problem is anything other than a clean water source, you need IICRC-certified professionals, like those offered at SERVPRO of Palm Desert, who can help to handle and correct the situation quickly. A Category 1 water damage, involves dealing with water coming from a clean or sanitary source. A broken water supply line, toilet tank, or water heater burst all fall into this category. However, just because the source was initially clean, does not mean that with time, the water cannot become contaminated. A Category 2 water damage, involves contaminants from an overflowing washing machine, toilet, or dishwasher. Lastly, a Category 3 water damage, consists of exposure to black water, better known as sewage. SERVPRO technicians always take the time to explain what is happening on your property in detail. We want you to understand the problem and understand what needs to happen to get things under control. Each category of water is different and is mitigated differently as well. SERVPRO of Palm Desert understands what actions to take in order to handle water removal around drywall, insulation, framing, flooring, and even your sub-floor. We use a variety of hand-held and truck-mounted water extractors, as well as dehumidifiers, hygrometers, negative airflow machines, and air movers to control the environment in your home after exposure. 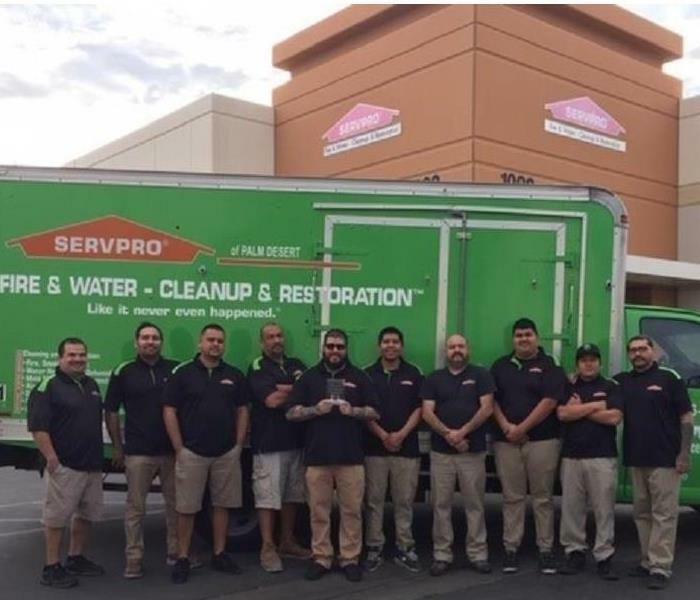 The technicians at SERVPRO of Palm Desert make themselves available 24-hours a day, 7-days a week to perform quality services throughout our local community. Give our office a call at (760) 346-7270. 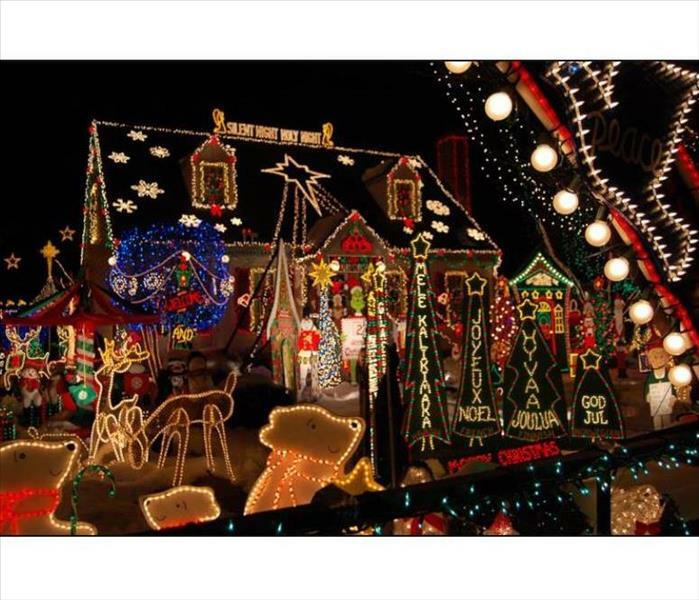 Pretty lights, candles, and decorations are just a few of the items bringing charm and cheer to the holiday season - however, if they are not used carefully, your holiday may go from festive to frightening. *Place Christmas trees, candles and other holiday decorations at least three feet away from heat sources like fireplaces, portable heaters, radiators and heat vents. *Make sure that light strings and other holiday decorations are in good condition. Do not use anything with frayed electrical cords and always follow the manufacturer's instructions. *Always unplug the tree and holiday lights before leaving the property or going to bed. *Never use lit candles to decorate a tree. Always extinguish candles before leaving the room or going to bed. SERVPRO of Palm Desert wishes you a safe and happy holiday season! Why Choose a Professional Mitigation Team? You might find specific instances or disasters that strike your Coachella Valley home that are out of your ability to clean up. In these cases, it is often a wise decision to choose a professional restoration company to help you return your property to the way that it used to be. Depending on how severe the damage is, acting quickly could help you speed up the restoration process and help to keep your costs down as well. 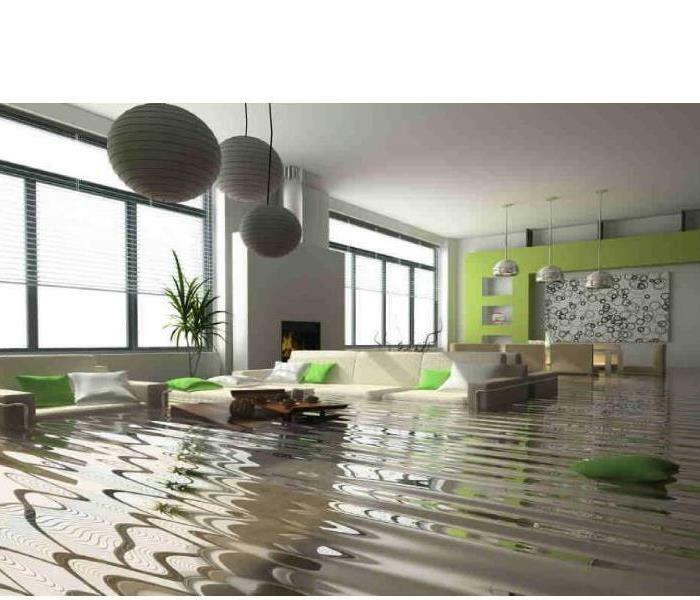 Water damage in your home can prove very challenging to overcome. Regardless of the source of the damage, water moves quickly and can affect many areas of your home over just a brief period. When you call in a restoration team to help you clean up the water and dry out the damage, a team of our SERVPRO water damage restorers come to your home to access and are ready to proceed when they have updated you what the drying plan will be. First, these experienced professionals are going to make their assessment of the damage that has occurred in your home. This process occurs with a thorough inspection of all of the affected areas and utilizes specialized equipment to see into hidden spaces and between walls to isolate moisture that must get addressed to restore the house successfully. The Water Damage team will explain their drying plan to give you the best understanding of how to dry your home in the quickest manner. We strive to arrive as quickly as possible to help lessen the effects of the water loss and ultimately keep your cost lower. We have the experience and the equipment to mitigate your clean up process quickly and effectively. While you might not always see the need for a professional restoration service for your home, water damages require experience and unique equipment to remediate promptly. Our SERVPRO of Palm Desert technicians are standing by at (760) 346-7270 to help you restore your home "Like it Never Even Happened"
SERVPRO of Palm Desert has highly trained fire restoration technicians. According to the U.S. Consumer Product Safety Commission, there are an estimated annual 15,500 fires, 10 deaths and 10 injuries due to clothes dryer fires. Why Do Carpets Seem to Smell Worse in Hot Weather? Do your carpets have an unpleasant odor? As the Hot Weather increases so does a little known issue that many SERVPRO carpet cleaners have run into in their daily cleanings. The reason carpets seem to have an odor in hot weather is the volatile compounds, the source of the majority of all odors - become much more easily airborne as the room temperature increases. Bacteria grows quickly as temperatures rise, so a carpet that has no detectable odor before you arrive on the job might soon smell after a hot water extraction. That's why, for example, an area of carpet soiled by a pet in the winter might not be noticed until it gets warmer in the spring and summer. 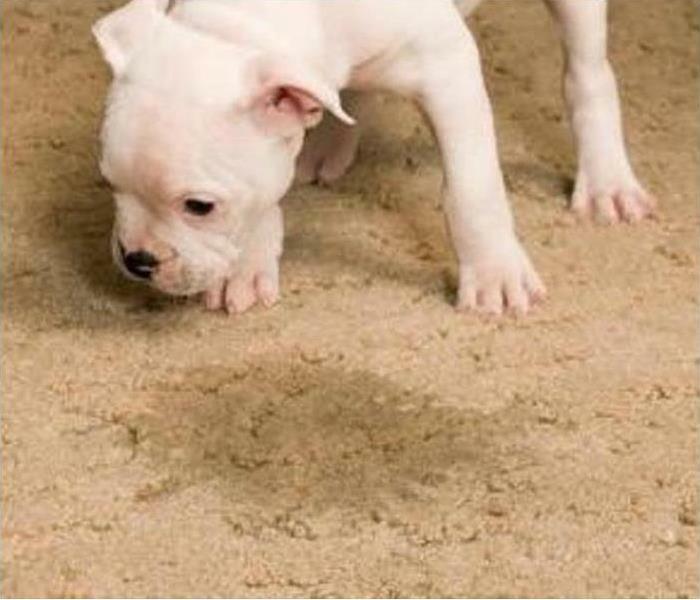 When a carpet cleaner cleans this hidden urine spot with hot water, the heat and moisture provides food to the bacteria that feeds on urine residues and they start to multiply. Bacteria also feeds on food residues, such as a glass of milk spilled in the winter that was blotted, but not fully cleaned. This kind of soil can smell sour after carpet cleaning. Bacteria multiply very rapidly once activated, thus causing odors to appear quickly. SERVPRO of Palm Desert technicians have the ability to use their SERVPRO products to deal with these stains and unpleasant odors and clean your carpets "Like it never even happened." 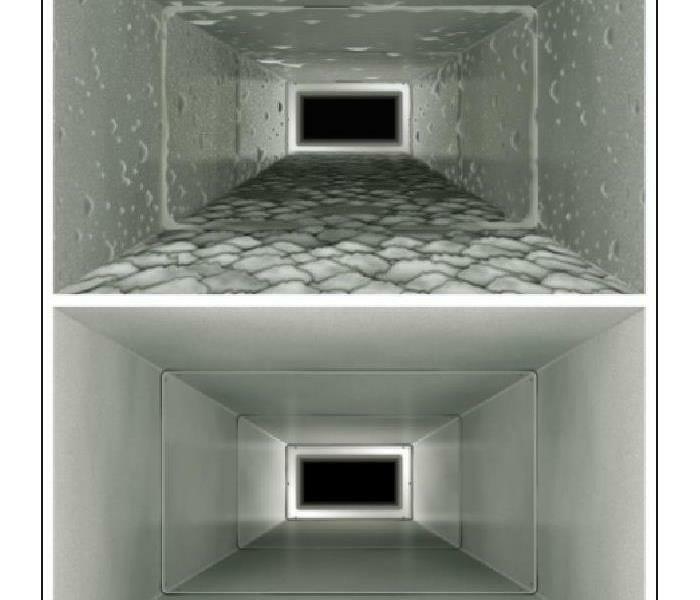 Ventilation systems are often the biggest culprit in poor indoor air quality. Make it a priority to inspect the ductwork of your home or business. If your HVAC has been operating for some time without attention, it could be circulating odors, dust and other contaminates. Keeping them clean can extend the life of the equipment. This can in turn save you money and give you cleaner air to breathe. 10/16/2018 - Why Choose a Professional Mitigation Team? 8/7/2018 - Why Do Carpets Seem to Smell Worse in Hot Weather? 8/1/2018 - Why Duct Cleaning?